Connect the Smart Manifold to the HBLT and have the capability of 10 HBLT’s. Click here for more information. The VPA allows for the automatic purging/prepping of catheters. The need to manually prep catheter with a syringe is eliminated. Click here for more information. Pressure Manager is a Windows program that allows the user of the HBLT to run the HBLT remotely while capturing and displaying data in real time on a screen strip chart. Click here for more information. 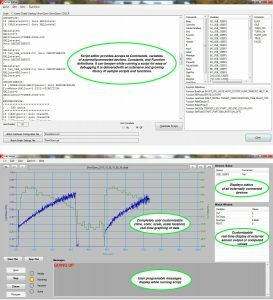 Crescent Design’s LabGenie is a Data Acquisition and Control Software application intended for use by engineers and scientists to create systems for automated data collection. 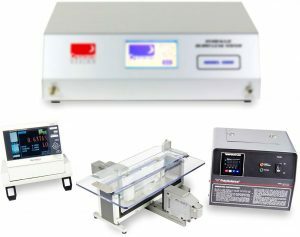 Lab Genie can control a wide variety of devices including Crescent Design’s Hydraulic Burst/Leak Tester (HBLT), micrometers, scales, pressure gauges, and digital and analog I/O blocks. Click here for more information. 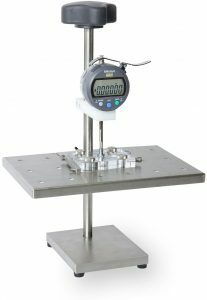 Crescent Design’s Compliance Test Fixture (CTF) connects directly to the serial port of the Hydraulic Burst/Leak Tester (HBLT) and allows for the automatic contact measurement of balloons and tubing. Please click here for more information. 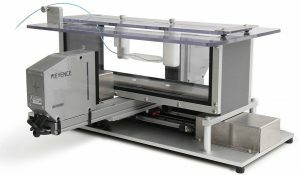 For those customers wanting to obtain accurate non-contact diameter measurements of their product under test, we recommend the Keyence Optical Micrometers. Please click here for more information. 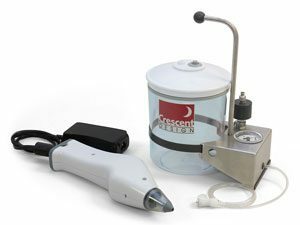 The Crescent Design Positioning Controller employs a Keyence LS707M Optical Micrometer mounted to a translation stage that allows the micrometer to be positioned horizontally for taking diameter versus pressure or volume measurements in multiple locations. Please click here for more information. 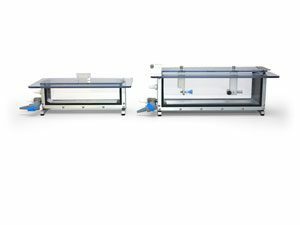 Crescent Design offers a wide variety of water baths for products that require testing in a controlled temperature environment. The baths come is 11, 14 and 20 inch lengths and are available with a standard or balloon holder lid. Please click here for more information. 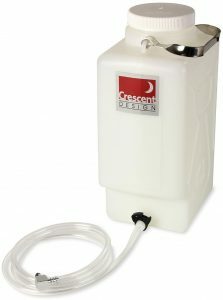 The Carboy with Tubulator consists of a two gallon (7.5 liter) carboy and six feet (2m) of vinyl tubing with a quick disconnect fitting attached. This assembly is designed to be connected directly into the inlet fitting on the front panel of the HBLT and is used as a carrier for the distilled water that is necessary to run the system. 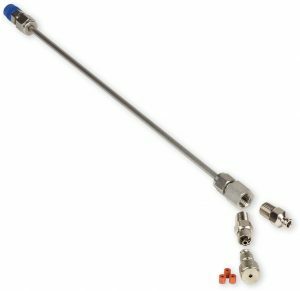 Includes: One (1) 10″ (255mm) length of 3/16″ NPT Stainless Steal tubing, with a 1/8″ NPT male pipe fitting on one end to screw into the HBLT outlet. The other end has a 1/8″ female NPT pipe fitting. This arrangement essentially moves the HBLTs outlet away from the face of the machine and can be easily bent by hand to fit specific locations for each customers needs. We can customize this kit to meet your specific requirements. 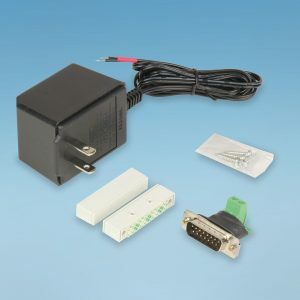 Includes an interface, power supply, reed switch set and, application note. 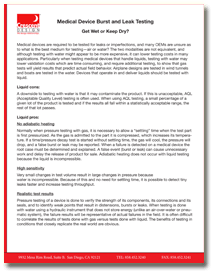 For users who test products in a containment box and need to abort a test if the safety cover is opened.